Surrey Police are appealing for witnesses following a robbery at a Coral Bookmakers in Horley. 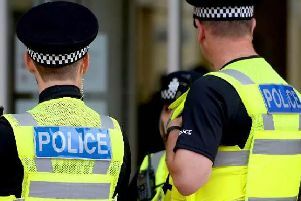 Police say the incident happened on Saturday (October 27) around 8.54pm when a man wearing a balaclava and armed with an axe threatened two members of staff at the store in Brighton Road. He left with a quantity of cash. No one was injured. Investigating Officer Detective Constable Emma Gibson said: “This was an aggressive attack which left the staff in shock.